Raw cacao liquor isn't alcoholic, as its name may imply! It's just the ground up raw beans that would normally be separated into raw chocolate powder and raw cacao butter. We find it works so well in chocolate recipes, that we decided to be the first to import it into the UK. Try grating it and sprinkling on your breakfast. Add to a touch of agave nectar or another sweetening agent and chew. Freeze grated cacao liquor with sweeteners (agave nectar is fantastic). Eat cold. Blend cacao liquor into herbal teas with the Peruvian ecstatic food maca. Grate and add to raw ice creams for the best chocolate chips in the world. Create a raw chocolate bar. Blend the following raw ingredients together: melted cacao liquor, agave nectar, carob powder, maca, coconut oil, cacao butter, angstrom calcium, and cashews. Pour into a mould and freeze. Eat cold and experience the truth about the food of the gods! It all began in May 2003. Shazzie was in Maui with her good friend David Wolfe, adding raw cacao beans to their smoothies. Cacao beans are the nut of the chocolate tree that all chocolate is made from. Then she just ate a cacao bean. Her life changed in that moment. Life since has been pure magic. She realised the cacao gods had chosen her as a messenger to bring real chocolate into the consciousness of the western world. What a blessing. David and Shazzie were compelled to write Naked Chocolate in 2005, the world’s only book dedicated to raw chocolate and its ecstatic food friends. Since starting The Raw Chocolate Revolution we’ve noticed that once people taste raw chocolate their lives are changed for ever. Raw chocolate alters your consciousness immediately. It opens up channels within you to allow energy and information in at a lightning speed. It enables you to live fully in your flow. It causes massive shifts in all parts of your life. It allows you to meet your divine self. It causes you to live your highest truth. It helps you heal the planet as well as your body. Cacao is the seed of a fruit of an Amazonian tree that was brought to Central America during or before the tim of the Olmecs. Cacao beans were so revered by the Mayans and Aztecs that they used them as money. In 1753 Carl von Linnaeus, the 18th-century Swedish scientist, thought that cacao was so important that he named the genus and species of this tree himself. He named this tree: Theobroma cacao, which literally means “cacao, the food of the gods.” As we approach 2012, and the patriarchal systems are crumbling, we decided to rename it "Cacao, food of the goddess". Cacao beans contain no sugar and between 12% and 50% fat depending on variety and growth conditions. Our cacao beans contain around 40% fat content (low compared to other nuts). There is no evidence to implicate cacao bean consumption with obesity. Raw cacao is contains hundreds of chemicals, is high in magnesium, iron, chromium, tryptophan, and antioxidants. It also contains PEA and anandamide. Contrary to popular opinion, cacao is a poor source of caffeine. A typical sample of cacao nibs or cacao beans will yield anywhere from zero caffeine to 1,000 parts per million of caffeine (less than 1/20th of the caffeine present in coffee). In February 2008, Dr Gabriel Cousens discovered in clinical tests on healthy people that cacao does not elevate blood sugar in the same way as a caffeine containing food or beverage. In fact, Dr Cousens found that cacao has less of an effect on blood sugar than nearly any other food. Cacao is remarkably rich in sulfur and magnesium. Cacao seems to be the number one source of magnesium of any food. This is probably the primary reason women crave chocolate during their period. Magnesium is associated with balanced brain chemistry, strong bones, and happiness. Magnesium is the most deficient major mineral on the Standard UK Diet (SUKD); over 80% of us are chronically deficient in Magnesium! Cacao is high in the beauty mineral sulphur. Sulfur is associated with strong nails, hair, beautiful, shiny skin, and a clean liver and pancreas. Cacao seems to diminish appetite, probably due to its monoamine oxidase enzyme inhibitors (MAO inhibitors) - these are different from digestive enzyme inhibitors found in most nuts and seeds. These rare MAO inhibitors actually produce favorable results when consumed by allowing more serotonin and other neurotransmitters to circulate in the brain. According to Dr Gabriel Cousens, MAO inhibitors facilitate youthening and rejuvenation. 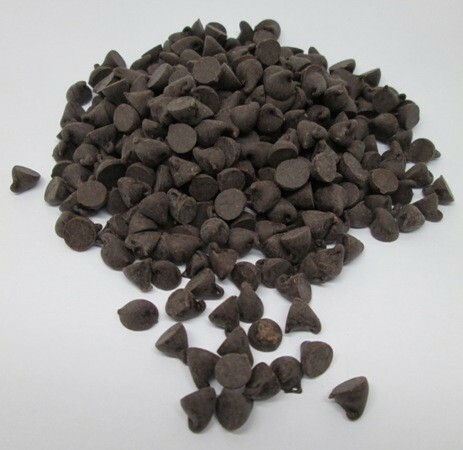 Phenylethylamine (PEA) is found in chocolate. PEA is an adrenal-related chemical that is also created within the brain and released when we are in love. This is one of the reasons why love and chocolate have a deep correlation. PEA also plays a role in increasing focus and alertness. A neurotransmitter called anandamide, has been isolated in cacao. Anandamide is also produced naturally in the brain. Anandamide is known as the bliss chemical because it is released while we are feeling great. Cacao contains enzyme inhibitors that decrease our bodies’ ability to breakdown anandamide. This means that natural anandamide and/or cacao anandamide may stick around longer, making us feel good longer, when we eat cacao. A recent study showed that only one out of 500 people who thought they were allergic to chocolate actually tested positive. Allergies to chocolate are quite rare. It is typically the case that the person is in fact allergic to milk and dairy products. What do you have for breakfast?" people often ask Shazzie, our founder and creator of these chocolate bars. "Chocolate!" she replies. And she gives the same answer for many of her meals and snacks. To those who haven't yet joined The Raw Chocolate Revolution, this reply may seem unhealthy. They may think Shazzie is obese or addicted to sugar. Yet, she’s healthy in the extreme. She’s a normal weight, and she hasn’t eaten refined sugar in over seven years. This is because the chocolate she eats is raw, vegan, free from refined sugar, loaded with ecstatic foods (chocolate being the main one! ), and fully life-giving. We’ve worked really hard to find good raw cacao beans of a consistent nature to bring to the UK wholefood market. These beans do not have a microbe count, and we’ve performed experiments to prove this to ourselves. We were selling the same variety as Nature’s First Law in the USA for a long time, but we couldn’t bring them to the UK in sufficient quantities or at the right price. It took us several months to find a variety that we consider is as good and as clean as their nibs. Now we’ve found them, we’re very happy to share them with you. Our nibs are raw, organically certified, and handled with love all the way from the growers through us and to your customers. We receive a certificate of analysis with every batch from our organic cacao growers. This covers all our cacao products: liquor, nibs, powder, beans and butter. It says many things, yet the most interesting part is the microbiological analysis. This is the bit that shows to us our chocolate products are safe for human consumption without being cooked. Staphylococus aureus, pseudomonas, aeruginoses, escherichila coli and salmonella are all tested as 100% absent from all our raw chocolate products. Refrigeration of this cacao liquor is not required. Cacao liquor keep well in cool, dry conditions. The product is by far the most superior quality of cacao liquor in comparison to all others I have tried. 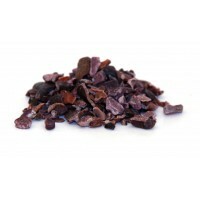 It offers a smoother and more delicious texture than cacao nibs. This is the most superior quality of cacao liquor available, I have found other brands very disappointing in comparison.